Larisa, Durenberger, head of the Department of business services NSUEM: “I would not with such confidence to say that this situation is real and it will happen: while the process is under discussion, and a multi-stage, multi-level. I’m just not convinced that this increase will take place as a real economic fact. Why? First, for anybody not a secret that the tax laws for our entrepreneurs, if you compare with any European developed countries, in particular Germany, one of the toughest. Our businesses pay taxes a little more than German, not to mention other countries. On the other hand, it is quite clear that the statements made in the speech of Vladimir Putin in the may decree another economic prospects, of course, require to seek financial provisions for their implementation. Mechanisms still to be found, it may be increasing some of the tax burden. And third, as a strategic priority, again sounded in the speech of Vladimir Putin, was to improve the quality of life of the population, this means that the income tax increase, no one is going such no prospects. So the discussion is still going. But if it happens, it will trigger certain economic laws, mechanisms: it can not but lead to the fact that VAT is a burden — a tax that is present anyway in all stages of production and sales of goods and services — will ultimately fall on consumers. The most optimistic forecasts of 0.5% will increase consumer prices for many groups of goods, according to the most pessimistic — from 1.5 to 2%. It will not be able to feel the consumer. With regard to priority and the priority in this case, it is difficult to say. On the one hand, this might be the most necessary consumer goods, because their production volumes are large, many of the manufacturers, there is a constant demand, the sales volume does not change and will always be high. The elasticity of demand has not been canceled. I think it will be the most popular consumer groups clothing, shoes, food. On the other hand, it may be the same groups of goods, which, on the contrary, do not apply to goods of daily demand, but nevertheless are in a serious price range and still in demand. For example, appliances, furniture, excisable goods. These groups of goods are also implemented we have in large volumes, there is no such thing as seasonality of demand. I think in the last turn under it’s fall consumer service. The services market is more flexible, interchangeable, so I think it will be affected in the least. Nelly Ignatieva, Executive Director of the Russian Association of chemist’s networks: “With the VAT increase, of course, rise all goods on which tax will be raised. VAT increase, which is actually a tax on the consumer, economic growth will be difficult to achieve, and inflation to increase, it will be very easy. One situation where VAT will increase from 18% to 20%, but for medicines VAT is offered to increase twice by 10%! In case of cancellation preferential 10-the interest rate, which today is used for medicines and food, retail prices will be about 9-9,5% excluding inflation. This initiative will force the possible demand of our patients to forward to medicines at lower prices that utopian the idea of collecting more funds by raising VAT”. Timur Nigmatullin analyst “Discovery Broker”: “the value added Tax ambiguous impact on the business. So, small and part of medium-sized businesses, are not able to offset input VAT against output, will face rising costs. It will negatively affect economic growth. In addition, the VAT increase will provide and direct the effects of inflation — annual consumer inflation in the baseline scenario, theoretically, will increase from the current 2.4% to 4.4%. Tatyana Cheremisina, senior researcher of the Institute of Economics of SB RAS: “the VAT Rise eventually borne by the final consumer is actually the inflation rate is 2%. For business in principle, this tax is then refunded, so they don’t want to give an interview. For them, little will change. Not on tax increases. Leads to higher inflation and could ultimately lead to some reduction in demand for goods. The income of the population does not grow, and prices will rise”. Viktor Veselov, chief analyst of Bank “GLOBEKS”: “perhaps the rise in VAT businesses will immediately put in the price of the goods, to transfer these costs to the consumer. If you take 18% for basic rate and plans to increase it to 20%, then prices will rise 2%. This may accelerate inflation”. 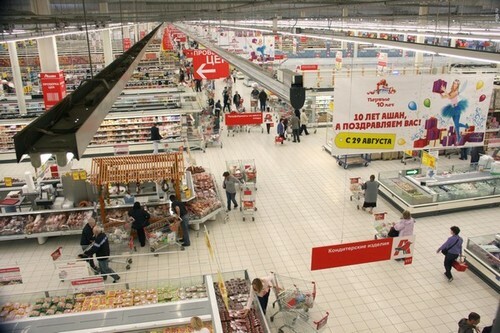 The Novosibirsk representatives of major retailers (Auchan, Lenta, “Bystronom” and “Siberian Giant”) refused to provide comments on the VAT increase. The government wants Russians to impose the new tax will be paid every second.